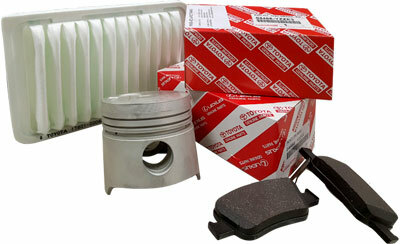 Purchasing genuine Toyota spare parts means reliability and quality when maintaining your vehicle. It also means having the correct spares that always fit the vehicle, so no additional time is needed when fitting them. Using Toyota original parts ensures that your vehicle runs without any problems until the next planned maintenance service. Toyota are famous for their quality and reliability as well as their cost-efficient maintenance compared to other vehicle brands, which might be cheaper to purchase but end up being more expensive after a few years because of high spare parts consumption and costs. 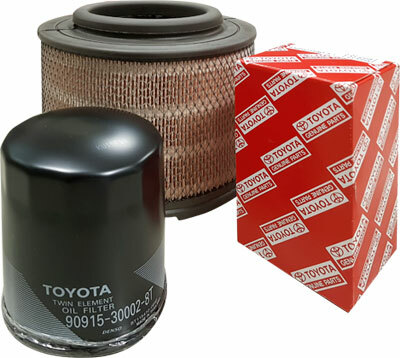 STS-Global has more than 95% of the most common genuine Toyota auto parts available from stock ready to be delivered anywhere in the world by courier, air, truck or sea freight at short notice. Our Toyota spare parts team are able to handle large or small inquiries and can send you a quotation that includes freight to any final destination within 24 hours. Send us your inquiry by the inquiry form on our website or e-mail. Please include the genuine Toyota parts number, quantities and consignee details (final destination). STS-Global professional spare parts department will send you prices and availability within 24 hours.